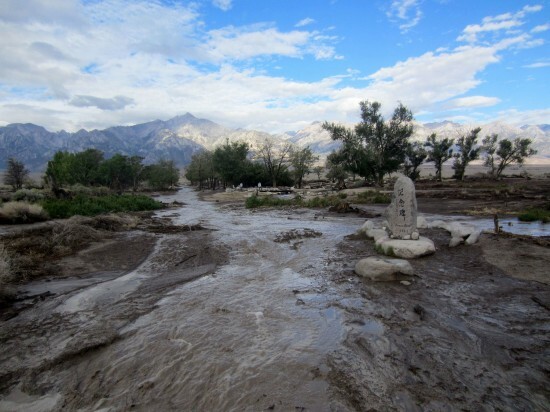 Heavy summer rains the night of July 22-23 caused significant damage at Manzanar National Historic Site. 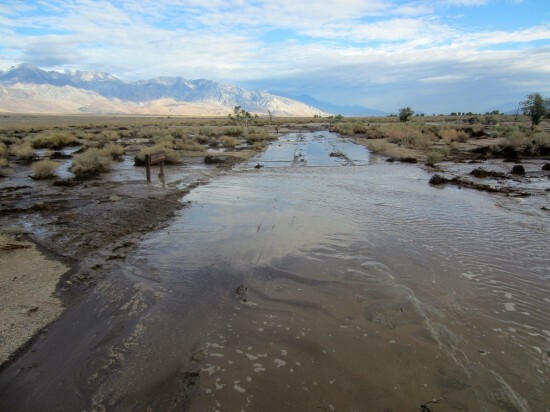 Shepherd Creek on the north side of Manzanar and Bairs Creek on the south jumped their banks, flooding the auto tour road and burying significant site features, including Merritt Park and gardens in Block 12 and Block 34. 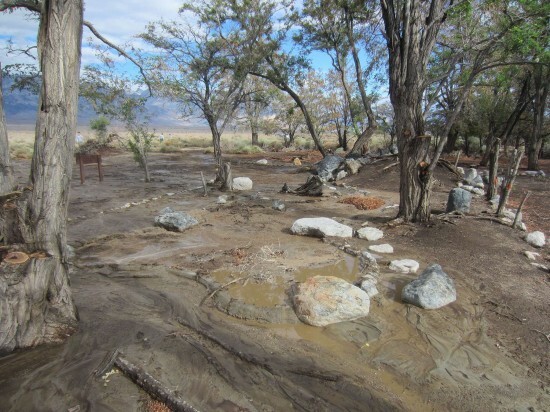 National Park Service and Los Angeles Department of Water and Power staff are in the process of assessing the damage. The auto tour road and west boundary roads are closed until further notice, making the cemetery inaccessible by car. The visitor center, which features 8,000 square feet of exhibits, an award-winning introductory film, and bookstore, remains open from 9 a.m. to 4:30 p.m. daily. The restored World War II-era mess hall and two reconstructed barracks in Block 14 are also open. 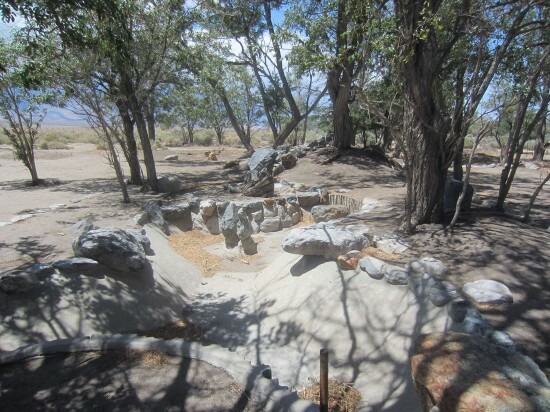 Visitors who choose to explore Manzanar on foot should wear sturdy shoes, hats, sunscreen and carry water. To learn more about Manzanar, visit www.nps.gov/manz or call (760) 878-2194, ext. 3310. Manzanar is also on Facebook at www.facebook.com/ManzanarNationalHistoricSite.